What Will $1,800 Rent You In Philadelphia, Right Now? Read on for the listings. 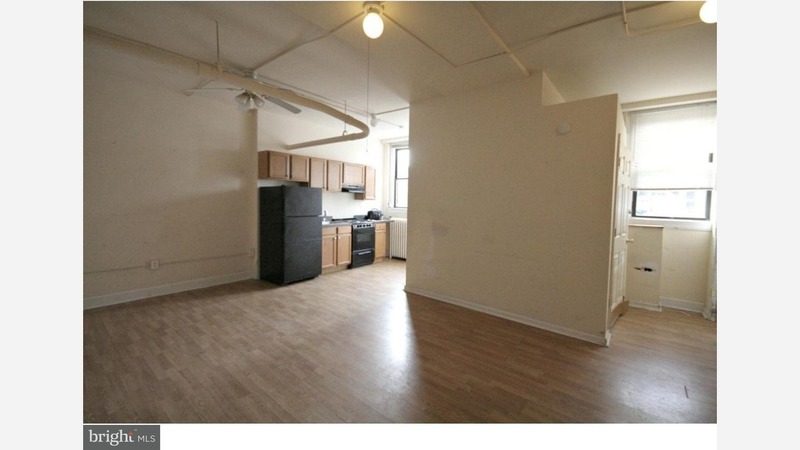 Here's this 1-bedroom, 1-bathroom unit over at 1101 Locust St. It's listed for $1,800 / month for its 716 square feet of space. Building amenities include garage parking. The unit has both carpeting and hardwood flooring, stainless steel appliances, a dishwasher and high ceilings. Unfortunately, pets aren't welcome. Next, check out this 1,209-square-foot 1-bedroom, 1.5-bathroom apartment that's located at 411 S 19th St. It's listed for $1,800 / month. In the tri-level unit, you'll have hardwood floors, high ceilings, in-unit laundry, a fireplace, a spiral staircase and ample natural lighting. Amenities offered in the building include storage. Pets aren't allowed. Located at 1324 Locust St., here's a 588-square-foot 1-bedroom, 1-bathroom unit that's listed for $1,800/ month. When it comes to building amenities, anticipate on-site laundry, a fitness center and storage space. The bright unit has hardwood floors and built-in storage features. Sadly, cats and dogs aren't permitted. Listed at $1,800 / month, this 1,100-square-foot 1-bedroom, 1-bathroom apartment is located at 2822 W Stiles St. In the apartment, you can anticipate hardwood floors, in-unit laundry, built-in storage space, exposed brick walls, stainless steel appliances and ample natural lighting . Pets aren't welcome. Next, there's this 1-bedroom, 1-bathroom condo over at 107 Arch St. It's listed for $1,795 / month for its 1,066 square feet of space. Amenities offered in the building include an elevator. In the sunny condo, there are a dishwasher, in-unit laundry, a fireplace and carpeted floors. Good news for pet owners: cats and dogs are welcome. Here's a 1-bedroom, 1-bathroom apartment at 1117 Walnut St. that's going for $1,795 / month. In the unit, there are hardwood floors, a dishwasher, in-unit laundry, bay windows, granite countertops, ceiling fans and stainless steel appliances. Good news for pet owners: cats and dogs are welcome. Hoodline offers data-driven analysis of local happenings and trends across cities. To make this work possible, we may include affiliate advertising links that earn us a commission in articles.